Landmark historical events and a rich abundance of natural resources helped shape the Corridor into what it is today. The Delaware and Lehigh Valleys played a major role in the colonies’ success during the American Revolution. George Washington’s famous 1776 crossing of the Delaware River occurred here. The Liberty Bell and the chimes of Christ Church from Philadelphia were safely hidden in Allentown, and Philadelphians who fled the war found safe havens in the Lehigh Valley. Easton was the site of the second public reading of our Declaration of Independence. Durham Furnace in Bucks County was the first to furnish cannons and ammunition for Washington’s army. The Lehigh Valley was the site of two major U.S. industrial innovations: smelting iron with anthracite coal and the production of Portland cement. Zinc oxide was first produced in Bethlehem, on the site that later became America’s arsenal, Bethlehem Steel. Anthracite powered the nation for more than seventy years, and slate became an important regional export. Eastern Pennsylvania became the world’s leading producer of silk in the early 20th century. Around these resource-based industries arose a commercial, transportation and cultural web which survives and thrives today. The first humans to settle in the Lehigh Valley were paleoamericans, but the best known were Lenni Lenape (meaning “real” or “original” people) of the Delaware Nation. Roughly 5,000 Lenape lived here in the early 17th century, occupying a territory that stretched from the Delaware Bay to the Blue (Kittatinny) Mountain, and from the Atlantic Coast to the Delaware-Susquehanna watershed. The Lenape way of life centered on the Delaware Valley, where they hunted deer, grew vegetables and grains, and caught seafood along the coast. 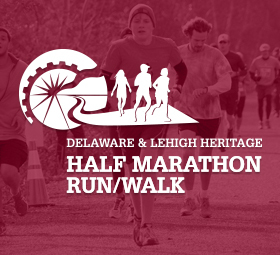 The Lehigh Valley was of great importance because it was one of the region’s main east-west pathways, plus it intersected with major north-south trails in the Delaware Valley. Despite its prominence as a crossroads, the “Great Valley”, as the area was referred to, was the site of few permanent villages, although tribes often camped at the confluence of the Lehigh and Delaware rivers, at what is now Easton. The first Europeans in the Lehigh Valley were Scots-Irish who followed Saucon and Indian creeks and established settlements in today’s Northampton County. The first was known as the Craig settlement, named after the most prominent pioneer family. In 1730 a second, smaller cluster of wilderness farms became known as the Hunter Settlement, named for early pioneer leader Alexander Hunter. Large numbers of Germans came into the Lehigh Valley in the 1730s, most of them Protestant farmers and members of the Lutheran and Reformed faith. Among them were the Schwenkfelders (from Saxony) and Mennonites, known for their skills as craftsmen and millers and for establishing well-respected schools. Most of the Germans became known as Pennsylvania Dutch, or Pennsylvania Germans. They grew maize, squash and wheat in the fertile soils, and took great care of their livestock. They also took pride in the impressive barns they built, a style the English soon adapted. White settlers and the Lenape coexisted peacefully. The Lenni Lenape had an especially warm relationship with Pennsylvania founding father William Penn, but that drastically changed when his sons instigated the infamous 1737 Walking Purchase, which swindled the Lenape out of hundreds of square miles of prime hunting territory. Relations became strained and the Lenape were eventually driven west and northward, where they and the Iroquois became pawns between the French, English, and colonists in the French and Indian Wars of the 1740s. Treaties in Easton in 1756 and 1758 drove the remaining Lenni Lenape from the region, despite Moravian missionaries’ best efforts to save them. With the Native Americans gone from their traditional lands, German settlements in the Valley swelled. Among the most important arrivals were the Moravians. They were a communal sect that developed highly organized towns in which each resident had a prescribed role, everyone contributed to the settlement’s well being, and all were taken care of in time of need. To live in a Moravian settlement, one had to be a full member of the Church. However, Moravians believe all people to be equal, so their cemeteries held Germans, Irish, Indians, and those of African descent. From these beginnings grew a unique broad cultural environment in which music, art and education flourished, as did religious tolerance. Their massive communal dwellings, churches and industrial structures remain today as landmarks in Bethlehem and Nazareth. The success of the American Revolution inspired many oppressed Europeans to view the U.S. as a place of freedom and opportunity. 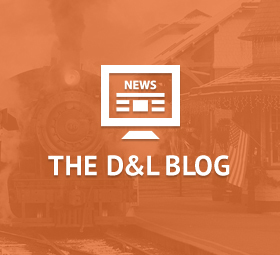 Completion of the Lehigh Canal further accelerated development of the Valley. The use of canals made transportation easier, and entrepreneurs used it in combination with abundant raw materials, capital, labor, and land to carry out unprecedented industrialization and urbanization. This factor, coupled with the iron and coal industries’ insatiable demand for laborers, triggered an influx of immigrant workers in the mid-1800s. At least 50 different nations and ethnic groups have been identified among the immigrants of the 1800s, and their descendants still live in the Lehigh Valley. Many European immigrants arriving at New York’s Ellis Island traveled straight to the Lehigh Valley. 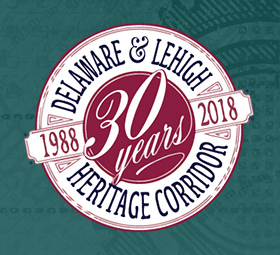 By the late 1800s, immigration had turned Allentown, Bethlehem and Easton into the large, thriving cities you’ll see today as you stroll along the D&L Trail.